This has allegedly become a precondition for signing an additional agreement. At the tripartite gas talks in Brussels, Russia may raise the issue of the abolition of 172bn hryvnia fine that Ukraine has slammed on Gazprom, the Russian newspaper Kommersant wrote on 8 December. The 9 December round of talks on gas between Russia, Ukraine and the EU in Brussels, that had been suspended for over a year, Kyiv is going to insist that Moscow signed an additional agreement to the contract with Gazprom to scrap the take-or-pay principle. According to Kommersant's sources, the Russian side will in return demand, among other things, the abolition of the monopoly abuse penalty. Gazprom sees the penalty as entirely illegal, but the attempts of Kyiv to recover the penalty in countries where the Russian company has property "can give it a lot of headache." The trilateral talks in December 9 will be attended by Russian Energy Minister Aleksandr Novak and Gazprom's deputy CEO Aleksandr Medvedev. Ukraine will be represented by Energy Minister Ihor Nasalyk and the head of Naftogaz Ukraine Andriy Kobolev. Earlier, European Commission Vice President Maroš Šefčovič emphasized that the purpose of the European Union at the negotiations is to ensure "predictability and stability of gas supplies during the winter season." 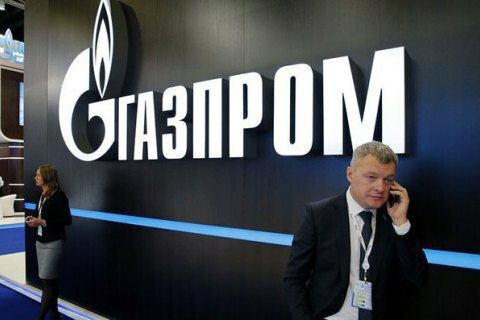 A Ukrainian court has fined Gazprom for the abuse of monopoly in the market of natural gas transit through Ukrainian gas transportation system in 2009-2015.